The Colorado Boulevard Health District Board meeting and public hearing on February 2 offered some new conceptual renderings of arguably the two most significant aspects of the 9th and Colorado project, the Large Format (Big Box) retail store at 11th and Colorado, and the 8th Avenue edge, or what’s been dubbed “Restaurant Row.” These latest renderings were shaped by citizen input from the adjacent Bellevue-Hale neighborhood. The Big Box store, as shown and described by the project architect, will incorporate several different architectural “looks” to break up the built mass that’s required to contain 100,000 square feet of retail space. These include monumental stairs, terraces, grade changes, and other features designed to periodically alter the “rhythm” of the building. This sounds very good in theory. After viewing a few conceptual renderings, however, one citizen commented that the imagined building still looks “blocky,” “closed”, uninviting, and institutional– reminiscent of a “high school.” Nothing has been finalized; project managers wryly intimated (and I sympathize!) that presenting, for public comment, conceptual drawings that are still very much works in progress is one of life’s no-win propositions. Revised drawings for the 8th Avenue edge (above) met with a little more citizen enthusiasm. The plan here is to offer a mix of modern and traditional (i.e., turn of the 20th century) building styles that will break up the long block and also create a sense that the area grew “organically” over time instead of all at once. There’s also a concern to provide some contrast with the Big Box building. 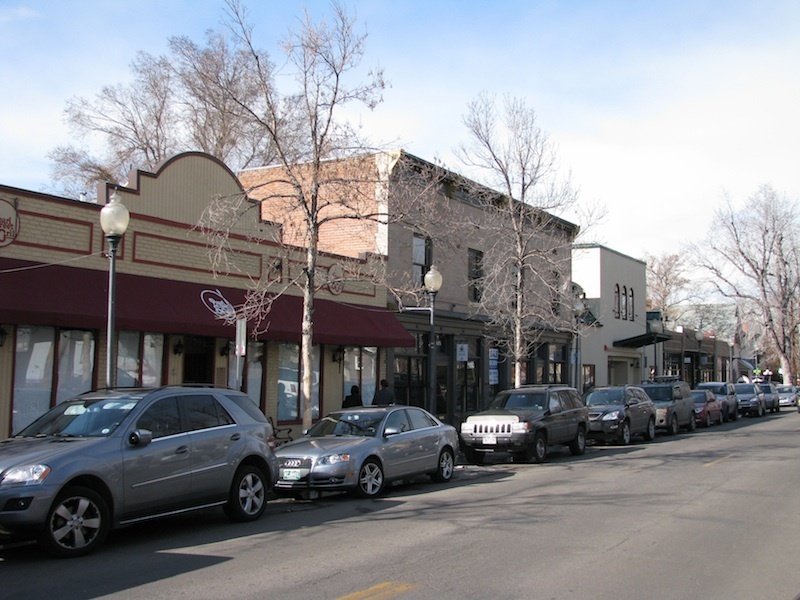 Denver’s popular Old South Pearl Street was mentioned as one existing model for what’s desired. The project architect is happy with the way that the 8th Avenue piece of the development is coming together as an exercise in “place-making”. What struck me, however, is that no mention was made of the specifics of this place nor of its history as a Health Sciences Center. It seems that any serious effort at place-making should take these specifics of history into account. 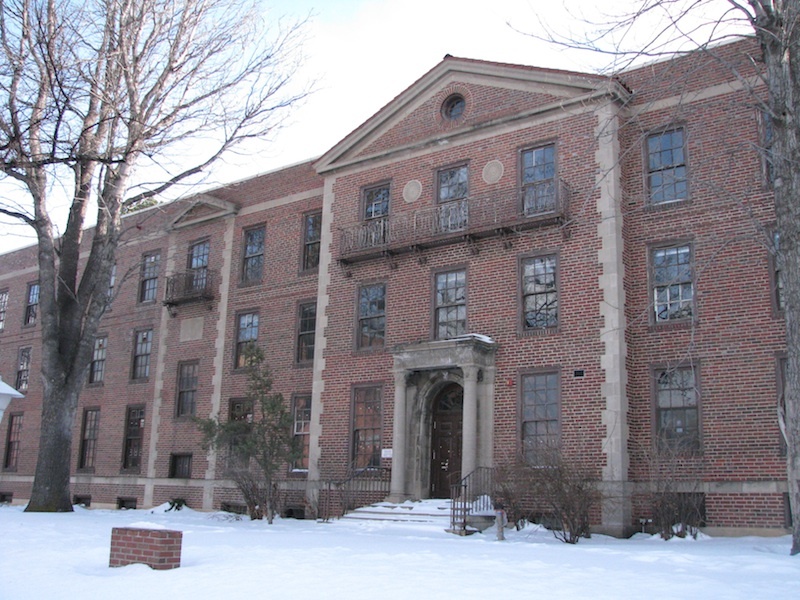 Certainly the preserved Nurses Dorm provides one touchstone, but nary a mention was made of it…unless it’s taken-for-granted that this is the kind of early 20th century building style to be emulated. For their part, assembled citizens commented that they “don’t want stucco”, and would like the developer to avoid anything that looks like the Colorado Pointe apartment buildings located directly across Colorado Boulevard. I’d add that it might be nice to consider something iconic along with the traditional and contemporary, if the area is to be more visually interesting than the other architectures that are currently infilling Denver. 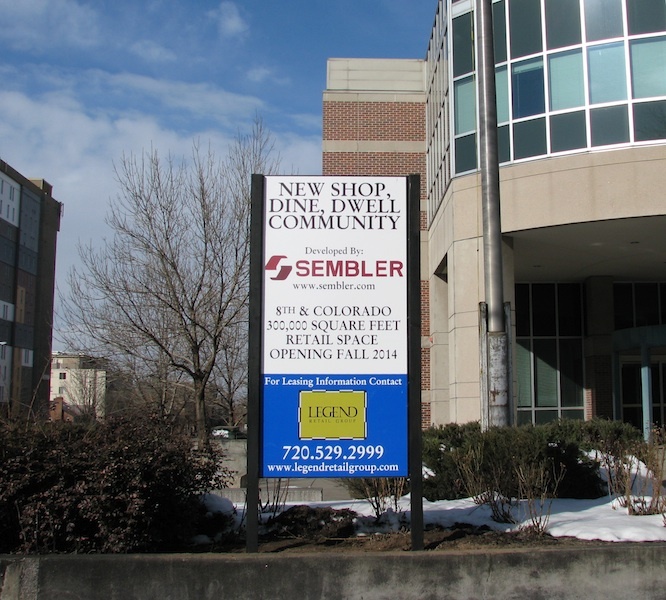 Sembler Company is keen to receive more citizen input about architectural look. The other major topic for the meeting was a transportation analysis update. As noted in previous posts, projections suggest that there will be much less traffic moving into and out of the site compared to when it was used as a Heath Sciences Center. Denver Public Works and Planning personnel provided some interesting comparative data on anticipated number of trips into the site plus expected numbers of additional cars using adjacent off-site streets. Daily car trips into the site when it was used as a Health Sciences Center numbered 27,392. The original developer—Shea Properties—anticipated 19,864 daily trips for its planned development of 1 million square feet of retail space. The current, less dense Sembler plan (300,000 square feet of retail space) anticipates 13,991 daily trips. Thus Sembler expects ½ the number of car trips into site as whole compared to its old use. Citizens, however, remain concerned about the accuracy of these numbers and ask whether Sembler has a track record for delivering projects that don’t exceed traffic projections. They’re especially concerned about traffic volume on specific residential streets that will feed into the project from the south of 8th Avenue (for site plan go here). Denver traffic engineers predict that these streets will carry between 170-280 more cars per day than currently. The chief concern for local parents is that these streets have lots of kids walking to a local elementary school. Several of these streets also lack sidewalks, forcing pedestrians to walk in the street. These observations produced some interesting back-and-forth. Several well-informed and well-spoken mothers channeled their inner Jane Jacobs to press Denver officials on the arrangements that would ensure kid safety. The traffic engineers insist that their first concern is always safety. They offered comparative vehicle counts for “typical” Denver streets that are a lot higher than for those around 8th and Colorado. 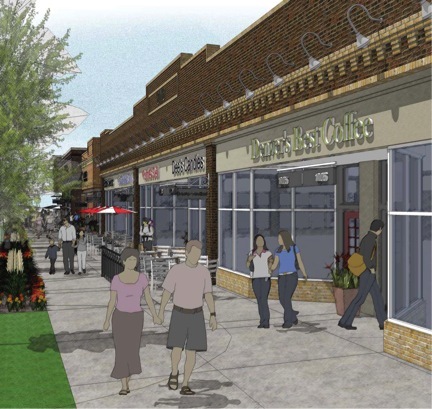 Project managers also reminded the audience that the key planning goal for this development is to restore the street grid and the site’s connectivity to the surrounding area. Citizens support that, but not at the expense of pedestrian safety. It was noted that if development is successful beyond expectations—certainly a developer goal!—then there could be more traffic than anticipated (but see here for an account of how the Big Box store might offset these increases by encouraging residents in the vicinity of the project to walk much more). In short, citizens asked city officials to consider incorporating more “traffic calming” measures around the site. This request was well received: public works people will meet with residents to talk about the measures that could be taken to maximize pedestrian safety. The next meeting of the Colorado Boulevard Health District Board will be Thursday, March 1 at 4:00, Molly Blank Conference Center of National Jewish Hospital.